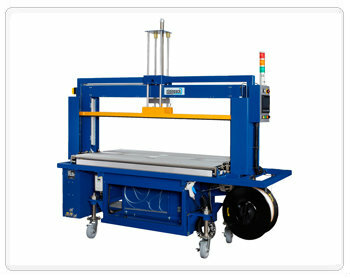 Jia-In Industry Co., Ltd. is one of the leading manufacturers of Strapping Machine and Wrapping Machine. Our main products include Corrugated Bundler, Pallet Wrapping Machine, Carton Sealing Machine and Strapping Tools. Easy to integrate with existing in-line conveyor system. In front of this machine, it can integrate with squaring machine,CS1. Sturdy construction and reliable system built for long lasting.